Have you been trying to find a way to increase the amount of hot water that is available to you in your bathroom or the kitchen? If you are on the lookout for an affordable alternative that will not require the hassle of upgrading your water heater, then Combi-Nation is here to help. 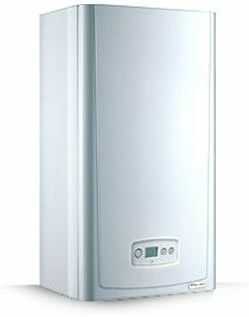 We are experts at installing point of use water heaters that will provide you with ample amounts of hot water on demand. If you are tired of waiting for the hot water to first heat up and then travel from the tank to your faucet or you are finding that it runs out too fast, then you will greatly benefit from one of our top quality units. Because of how small these types of heaters are in size, they can be placed inside a cabinet. What this means for you is that you will not have to worry about expensive installation fees and disruptive building works in your home. The Combi-Nation team will get the job done in no time at a very competitive price. When you get in touch with our team for your free survey and quote, we will advise on you on the most suitable location for your new water heater. Our models can usually be either effortlessly mounted against a wall or a different surface that is out of the way. With many years of experience behind us, our highly skilled team members can get your unit set up in a matter of hours. Once your unit is installed, it will supply you with cool or hot water on demand without having to interfere with the hot water system that you currently have in place at your property. Even during the freezing winter months, you will get water on demand at the temperature that you require. This is due to the water being heated at the point of use. One of our point of use water heaters will end up saving you money on water bills because you will not be heating it up every single day. A high quality instant water heater such as the ones installed by Combi-Nation can increase your energy efficiency by up to an amazing 35%. At Combi-Nation, we maintain a highly competitive pricing policy that is always fair and ensures that our customers get the best value for their money. We only provide the highest quality products available on the market and our under and over sink water heaters are no exception to this rule. With Combi-Nation, you can also expect fantastic customer service from our dedicated team of experienced professionals. Our team members will never accept a second class installation or cut corners. We take great pride in the work that we do, so you can always expect us to go the extra mile for you. If it sounds like a point of use water heater has been exactly what you have been looking for, then reach out to Combi-Nation for hot water on demand and to start saving money on your bills in the process!